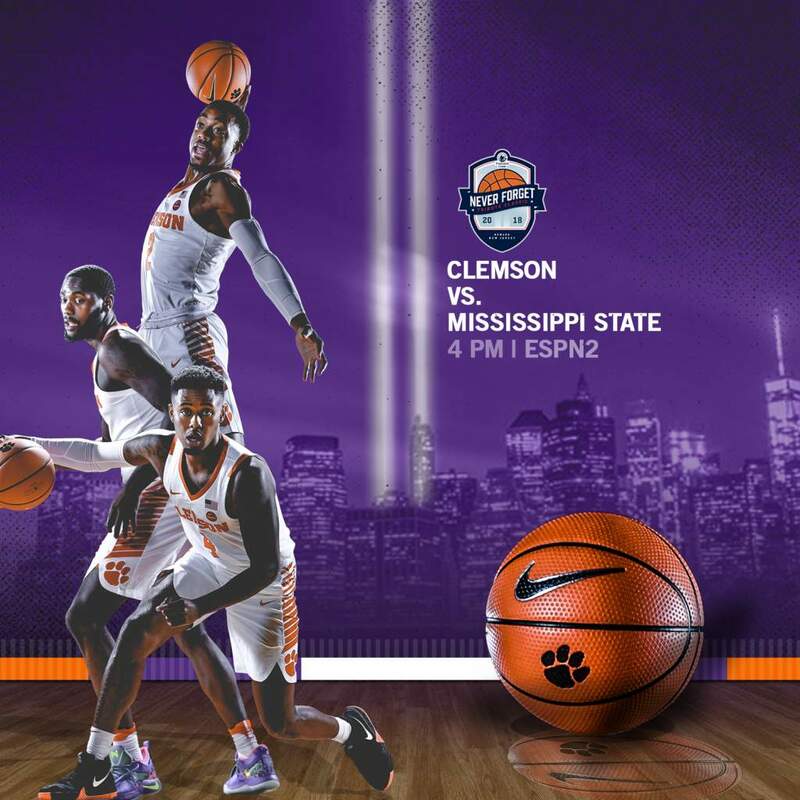 📍 Prudential Center – Newark, N.J.
🏀⏰ Tipoff Time – 4 p.m.
• Clemson will face Mississippi State for the fourth time in program history today in the 2018 Never Forget Tribute Classic. • The Tigers are 3-0 all-time against the Bulldogs. The last meeting was an 84-82 victory in Starkville. • There is a current connection between both programs – former Tiger guard Tanner Smith (2008-12) serves as the Bulldogs’ director of basketball operations. • Last time out, Elijah Thomas notched his third double-double of the season and 13th of his career. Of his 12 double-doubles in a Tiger uniform, Clemson is 10-2 overall in those contests. • The Tigers have won seven-straight games against members of the SEC, dating back to the 2016-17 season. • Clemson is 1-0 this season after its 64-49 win over Georgia on Nov. 20. • The Tigers will play at least two more games against SEC opponents next season with today’s contest against Mississippi State (Dec. 8) and a date with in-state rival South Carolina (Dec. 22). • Last season the Tigers went 3-0 against SEC members with regular season wins over Florida and South Carolina and a dominating win over Auburn in the NCAA Tournament’s second round in San Diego. 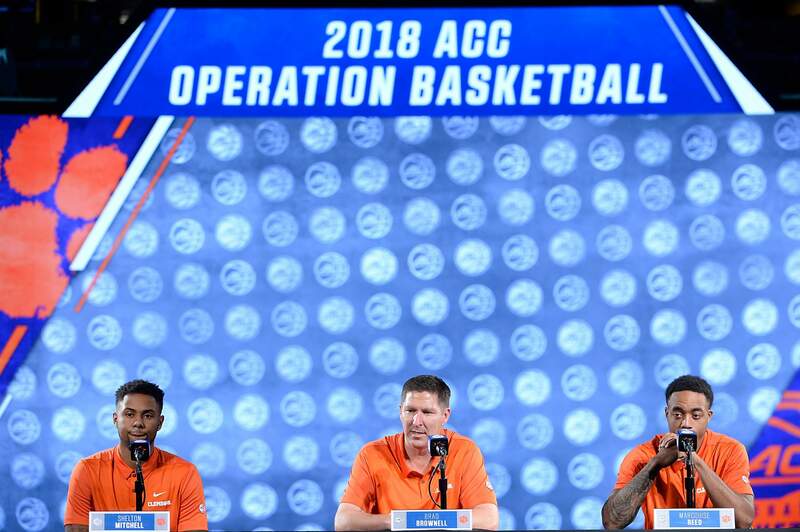 • Head coach Brad Brownell won his 155th career game as the head coach at Clemson against Saint Peter’s (Dec. 4). • With 155 wins, Brownell is now just one shy of tying Bill Foster (156) for second all-time on the Clemson win list. • He remains just 22 victories of tying Cliff Ellis for the most in Clemson history and 23 from sole possession of first all time.